* BURMA (RLPB 438), where intensive fighting is underway in Burma's northern Kachin State with the military eager to seize control of valuable gold, amber and jade mining areas. IDPs from Ndup Yang camp. BURMA UPDATE (1): Ndup Yang Camp sits on the bank of the Malikha River, east of Sumprabum, some 200km north of the Kachin capital Myitkyina. Clashes between the Kachin Independence Army (KIA) and the Burmese military erupted in the area on 17 January. 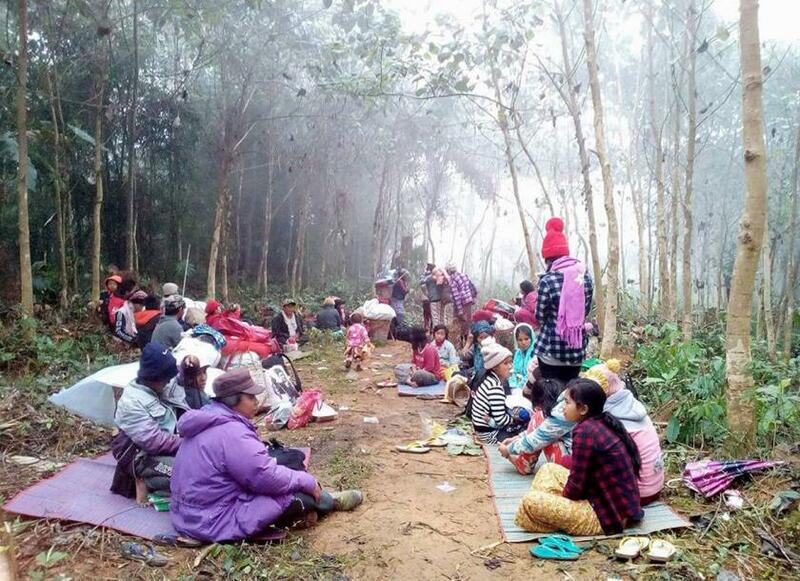 With Burmese troops firing artillery from the opposite bank of the river, residents of the Ndup Yang Camp -- a total of 260 households consisting of 949 people -- fled for their lives into the jungle, many with nothing but the clothes on their backs. The camp is now empty and the whereabouts of the displaced Kachin are unknown. Reverend Bang Seng, who is in charge of Ndut Yang Camp, has been informed that one pregnant woman has since given birth in the jungle. 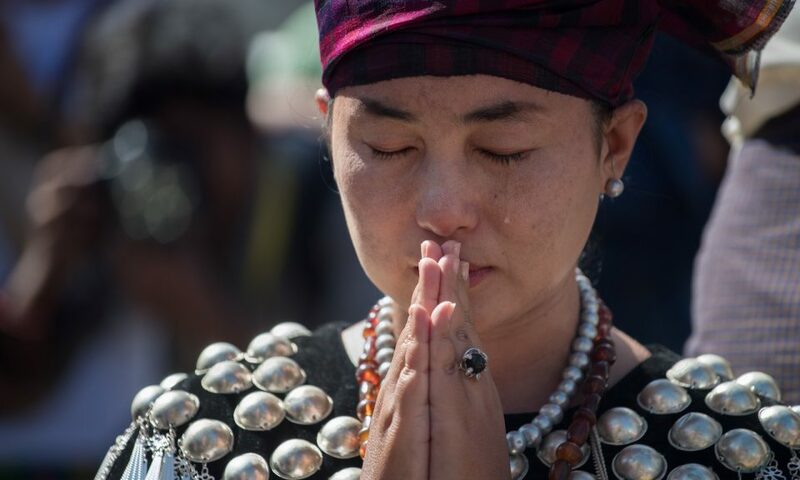 Please pray for Burma's long-suffering Kachin believers. BURMA UPDATE (2): On 2 January the Kachin Independence Organisation (KIO) elected General N'Ban La (70) as its new chairman. Gen. N'Ban La also serves as deputy chair of the Federal Political Negotiation and Consultative Committee (FPNCC), an alliance of seven armed ethnic groups yet to sign the Nationwide Ceasefire Agreement (NCA). [They refuse to sign while the junta's preconditions include disarmament and acceptance of the flawed 2008 constitution.] Pursuing economic interests, the West has essentially abandoned the Christian Kachin, citing their refusal to sign the NCA. Eager to advance its own interests, China is now wooing the Kachin, offering to facilitate the flow of humanitarian aid into Kachin State from China. Observers expect that under Gen. N'Ban La, the KIO will give up on the West and will instead look East. 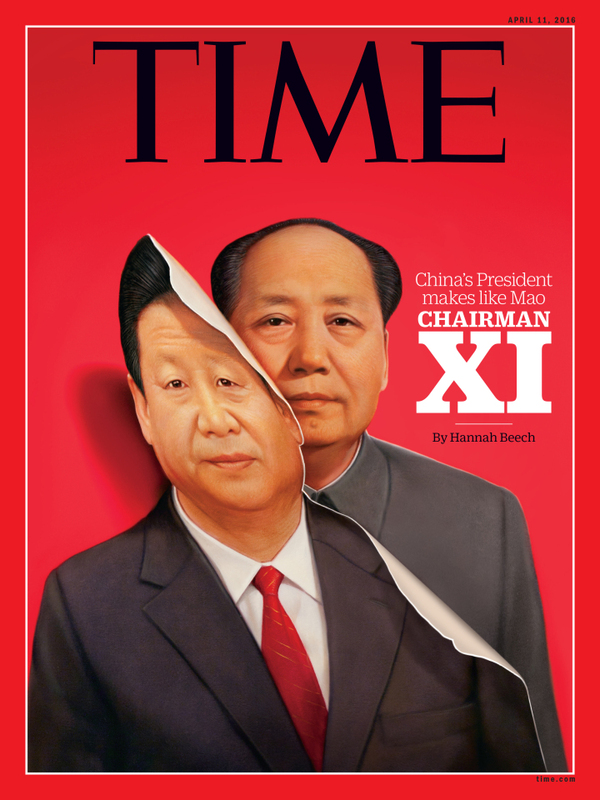 Of course this will leave the Kachin vulnerable to the machinations of the Chinese Communist Party. Please pray. * SYRIA (RLPB 438; updated in RLPB 439), where, on 8 January, Christian properties in the Old City of Damascus were hit by rebel shells; and where Christians in northern Afrin are imperilled due to Turkish shelling and aerial bombardment, as well as from Turkish-backed al-Qaeda-linked jihadists. SYRIA UPDATE (DAMASCUS): Nine civilians were killed and 21 wounded in Bab Touma on Monday 22 January, when jihadists based in Eastern Ghouta shelled the predominantly Christian district of the Old City. Three-year-old Elias, whose parents were critically wounded, was among the dead. The shelling commenced just as school had finished for the day; several youths from the Church-run Al Riaya School were among those killed and seriously wounded. Please pray. SYRIA UPDATE (AFRIN): Rev Abdalla Homsi, of the Evangelical Christian Alliance Church of Aleppo, has issued a statement condemning Turkey's 'unjustified aggression'. 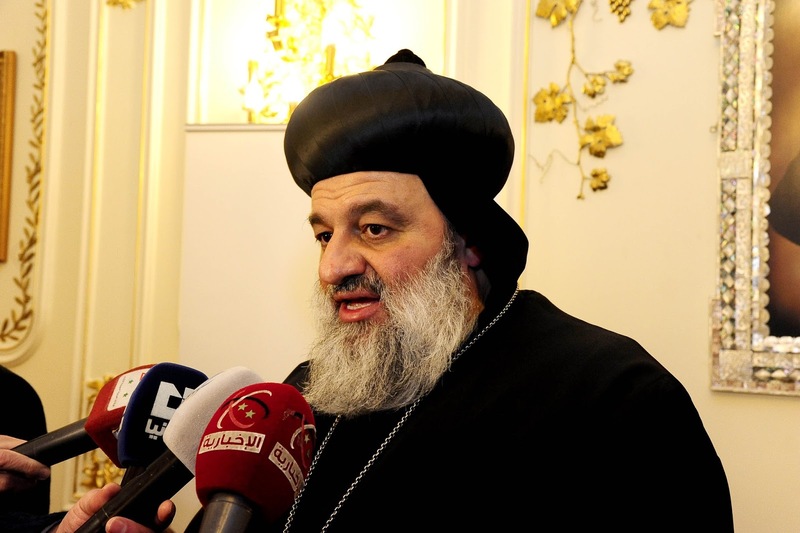 With Turkish forces fighting alongside rebel and Islamic factions, Syriac Orthodox Patriarch of Antioch, Mar Ignatius Aphrem II appealed (again) for the West 'to put an end to all forms of external support for irregular militias and armed groups operating in Syrian territory'. Turkey's President Erdogan has declared his intention to launch an attack on Manbij (100km east of Afrin) and to continue the fight eastward until no 'terrorist' (read: Kurd) is left 'right up to our border with Iraq'. In reality, the Turkish military is struggling to hold on to its gains. Failure could trigger a nationalist backlash against minorities in Turkey. The situation is extremely volatile and dangerous. Please pray. 'Cast all your anxiety on him [God, v6] because he cares for you' (1 Peter 5:7 NIV). * NIGERIA (RLPB 439), where the extra-legal arrest of a convert from Islam and her Christian friend has triggered a religio-political crisis, because Nigeria's constitution guarantees religious freedom. No further news is available. [See also The Islamisation of Nigeria, Religious Liberty Monitoring (23 Jan 2018)]. On the night of 15 January Boko Haram militants stormed Roum village in Cameroon's Far North region (which borders Nigeria's Borno State), setting it ablaze. Two churches (one Evangelical, one Catholic) were destroyed, along with 93 huts, 20 food storehouses, and 11 motorbikes. 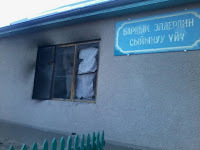 Not far from Roum, a health centre belonging to the Evangelical Church was also attacked. One church leader told World Watch Monitor (29 Jan) that the violence and looting has become routine. It must be terrible to live with such insecurity; please pray. China's new Religious Affairs Regulations come into force on 1 February. The regulations give the Chinese Communist Party (CCP) full control over religion. Unregistered religious activity will be illegal and all approved religious activity will be heavily regulated and monitored. Resistance will result in demolitions and administrative detentions. [See: The Return of 'Mao-style Terror and Control', Religious Liberty Monitoring (25 Jan 2018).] 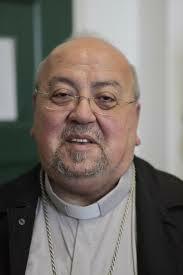 Meanwhile, the Vatican has already capitulated, retiring one bishop so he might be replaced by a CCP appointee. Hong Kong's Cardinal Joseph Zen (retired), who in November 2016 urged the Vatican not to take this path [see RLPB 387 (5 Dec 2016)], has accused the Vatican of 'selling out the Catholic Church in China'. Meanwhile, having already demolished much of the residential accommodation at Larung Gar (possibly the largest centre of Buddhist learning in the world), the CCP is now preparing to take over all administration, installing scores of CCP cadres at the site -- in every department, at every level and in every corner -- to ensure total compliance [see report by Human Rights Watch]. Pray for China. May God give his precious Church much wisdom and grace to navigate the 'New Era'. JHARKHAND: Morning Star News (MSN) reports on several incidents of violence against Christians over Christmas. In each case, Christians had been engaged in peaceful worship when they were violently attacked by Hindu nationalists. As MSN reports, Jharkhand's Adivasis (indigenous tribes) are also harassing and threatening Christians. This is because Jharkahand's Hindu nationalist (BJP) state government is exploiting the issue of religious conversion deliberately to divide the tribals. The BJP's goal is to set the Adivasi animists against the Christians who have been leading a campaign for land rights, justice and equity. [See: The Shameful Politics Behind Jharkhand's Anti-Conversion Law, Religious Liberty Monitoring (1 Sep 2017).] Pray for the Church in Jharkhand. TAMIL NADU: Morning Star News reports that on 20 January, church members discovered the body of their Pastor Gideon Periyaswamy (43) who had been murdered. 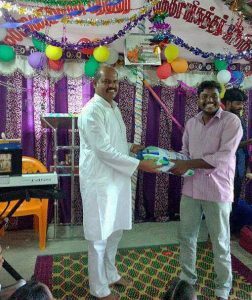 It seems that upper caste Hindus in the area had been unhappy that persons of lower caste were entering the area, drawn in by Pastor Gideon's Gospel ministry. Only one week earlier, Pastor Gideon informed police that Hindu nationalists were threatening him. 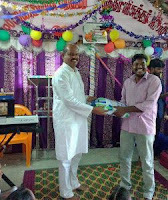 Pray for the Church in India. On 6 January, in a Revolutionary court in Tehran, Shamiram Isavi, the wife of Assyrian Pastor Victor Bet Tamraz, was sentenced to five years in prison. Judge Ahmadzadeh found Shamiram Isavi guilty of 'acting against national security by organizing home churches, attending Christian seminars abroad and training Christian leaders in Iran for the purpose of espionage'. Isavi denies that she ever acted against Iran's national security. Isavi and her husband were arrested in their home in Tehran on 26 December 2014, along with their son, Ramin Bet Tamraz, and 12 Christian converts. In June 2016, Pastor Victor and three converts were sentenced to 10- and 15-year prison terms [see RLPB 414 (11 July 2017)]. Their appeals are pending. Furthermore, On 28 December converts Eskandar Rezaei and Pastor Soroush Saraei were each sentenced to eight years in prison for 'acting against national security'. Pray for the Church in Iran. 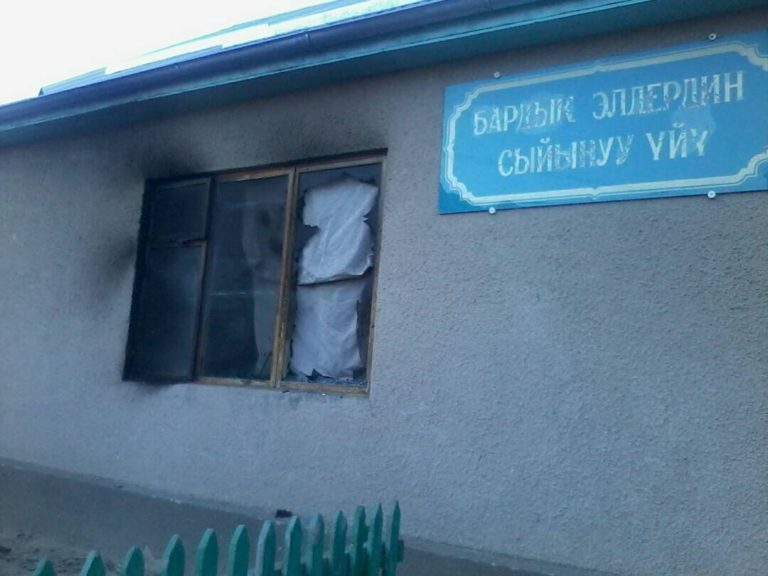 Located in Kyrgyzstan's north-eastern Issyk-Kul [Ysyk-Kol] Region, Kaji-Sai Baptist Church (established 1990; registered 1994) has long endured harassment and threats. Led by government-appointed imams, local Muslims are resisting the Christian presence. The police unashamedly back their fellow Muslims. Forum 18 reports that in January 2011 the police in Karakol responded to one attack by convening what was essentially a 'reconciliation session' (as occurs in Egypt). Under duress, the Christians were coerced to write a letter of forgiveness, essentially absolving their Muslim attackers. With Muslims now confident of impunity, persecution has only escalated. The persecution culminated on 2 January when unidentified attackers attempted to burn down the church. On Sunday 7 January the Baptists worshipped in the ashes. They have vowed to continue services and restore the church. Without police protection, this situation could get much worse yet. Please pray. Nigerians Miss Nabila Umar Sanda (19) and Engineer Simput Eagles Dafup (33) met and exchanged contact details in Dubai four years ago. A few years later, as Nabila (a Muslim) was studying at Bingham University -- a Church-owned university in Karu, in Nigeria's central Nasarawa State -- she decided that she wanted to become a follower of Jesus Christ too. When Nabila learned that Simput Dafup was going to be in Jos, Plateau State, over Christmas (2017), she re-connected with him and arranged to meet him there. When Nabila told Simput that she wanted to convert to Christianity, he asked about her family, in particular her father who is a powerful Muslim elder and a traditional title holder in Biu, Borno State. Nabila told Simput that as she was 19, she was entitled to choose her own religion and would do so regardless of obstacles. However, Simput remained concerned, so on Monday 8 January he and Nabila sought advice and assistance from local church leader, Pastor Jeremiah Datim. Cognisant of the delicacy of the situation, Pastor Datim decided it was best to follow protocol and contact the umbrella group for the Muslim community in Nigeria, Jama'atu Nasril lslam (JNI), to inform them of Nabila's decision to convert, in the hope they might smooth the way forward. When Nabila's parents were informed, her furious father vowed revenge and requested intervention by the Department of State Security Services (DSS). Though no charges had been laid and no arrest warrants issued, the DSS is alleging that Nabila was abducted in Abuja, held captive in Jos and forcibly converted to Christianity. This echoes the 'Camilia' myth promulgated by Islamists in Egypt [see: RLPB 082 (17 Nov 2010)]. The accusation comes as the Voice of Northern Christian Movement of Nigeria (VNCMN) is pressuring the government of President Muhammadu Buhari to investigate the abduction of some 100 Christian girls. VNCMN Executive Director, Pastor Kallamu Musa Ali Dikwa, explains: 'Muslims have abducted 100 Christian girls under the age of 18 and forcefully converted them to lslam and we have reported to security agencies severally but no arrest was made or return of Christian girls to their parents ... .' Thus the whole context mirrors that of Egypt [see: RLPB 398, 'Bring Back Our Coptic Girls' (15 March 2017)]. But Nigeria is not Egypt! Nigeria is a democracy with a secular Constitution where Christians comprise at least 51 percent. Tensions are soaring. The Human Rights Writers Association of Nigeria (HURIWA) has slammed the DSS for 'acting as some kind of "Islamic religious police" ... We call on the National Assembly to call ... the [Director-General] of DSS to desist from using public offices to promote and canvass the interests of a particular religious group which are direct affronts to the Constitution of the Federal Republic of Nigeria which absolutely prohibits the elevation of one religion as state religion'. * intervene to secure the release and guarantee the security of faithful witness Simput Dafup. * intervene to secure the liberty and guarantee the security of Christian convert Nabila Sanda. 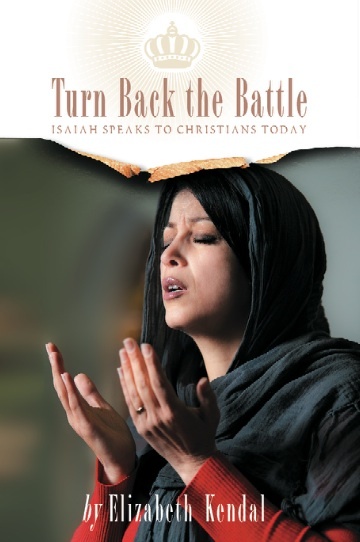 * awaken Nigerian Christians to the threat creeping Islamisation poses to their liberty and security; may the Holy Spirit lead the Nigerian Church in prayer for the nation, prayer for the persecuted, political action to secure liberty, humanitarian action to aid the persecuted, and grace to take the Gospel of salvation to Muslims. May the Church have faith to 'turn back the battle at the gate'. 'In that day the Lord of hosts will be ... strength to those who turn back the battle at the gate.' (Isaiah 28:5-6 ESV). * supply Nigeria's courageous Christian missionaries and witnesses with everything they need for the task. Nigeria's Department of State Security Services (DSS) has arrested, without warrant, a Christian engineer Simput Dafup (33), alleging he abducted Nabila Sanda (19) and forcibly converted her from Islam to Christianity. 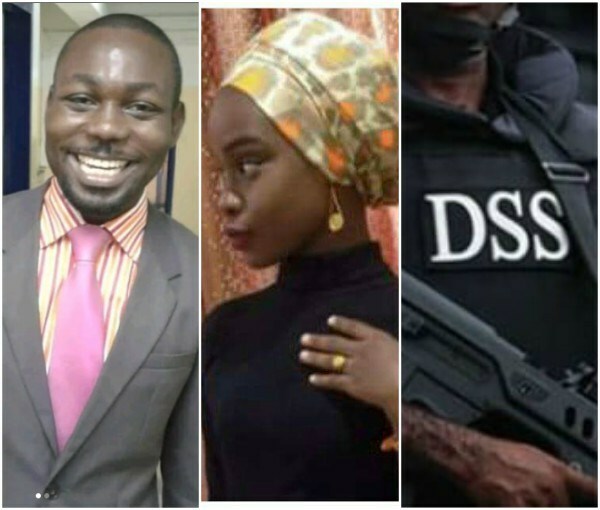 The DSS also kidnapped Nabila, who had already decided to follow Jesus while studying at Bingham University -- a Church-owned university in Nasarawa State. Nabila had travelled to Jos to talk to Simput about her decision to convert. Concerned, Simput took Nabila to seek advice and assistance from a local pastor, Jeremiah Datim. Furious, Nabila's father -- a powerful Muslim elder in Biu, Borno State -- requested the DSS to intervene. However, as Pastor Datim reminded the media, the Constitution of the Federal Republic of Nigeria guarantees religious freedom. Tensions are soaring. Please pray for Nigeria and its Christians. World Watch Monitor reports (22 January) that the Church of the Good Shepherd in Afrin, north-western Syria, is gravely and imminently imperilled. Turkey has launched a military operation to seize control of Afrin and the church is at risk due to heavy aerial bombardment and shelling. Furthermore, Pastor Valentin Hanan warns that 'Islamic groups are threatening to enter the area'. These groups, which are backed by Turkey, are aligned with al-Qaeda. The church, which comprises some 200 Christian families, is appealing for international protection. Please pray! GIVE THANKS: After praying specifically that God would 'protect churches from attack this Christmas season' [RLPB 437 (18 Dec 2017)] we now give thanks that Christians were able to celebrate without a major terror incident this Christmas, despite numerous threats. Whilst Islamic militants did attack two churches -- one in Quetta, Pakistan (17 December) and one in Helwan, Egypt (29 December) -- the bombers were immobilised before they could enter the sanctuary, ensuring the death toll was a mere fraction of what the terrorists had intended. While we weep with those who weep and pray for those who suffer, we also thank the Lord our shield (Psalm 28:7) for his faithfulness, grace and mercy. KEEP ALERT: Persecution is set to escalate virtually everywhere during 2018, for the days when the West could and would influence international religious policy are over. Now that it cannot and will not, persecution with impunity is set to become the order of the day. The Chinese Communist Party's new Religious Affairs Regulations might not come into effect until 1 February, but church demolitions have already begun. CCP authorities demolished a Catholic church in the city of Xian in Shaanxi Province on 27 December and on 9 January used explosives to raze the long-persecuted Golden Lampstand Church, a mega-church in the city of Linfen in neighbouring Shanxi Province. Pakistan will hold general elections in July in which blasphemy is expected to be a central issue and hardline Islamists are expected to make significant gains. Persecution will continue to escalate across India, especially now the once-secular Congress Party is competing with the BJP to see which can be the more Hindu Nationalist [see RLPB 437 (18 Dec)]. The Islamic Revolutionary regime in Iran continues to punish witnessing believers with harsh prison terms. On 28 December the Revolutionary Court in Shiraz sentenced Eskandar Rezaei and Pastor Soroush Saraei to eight years in prison for 'action against the National Security', proselytism and forming house fellowships. 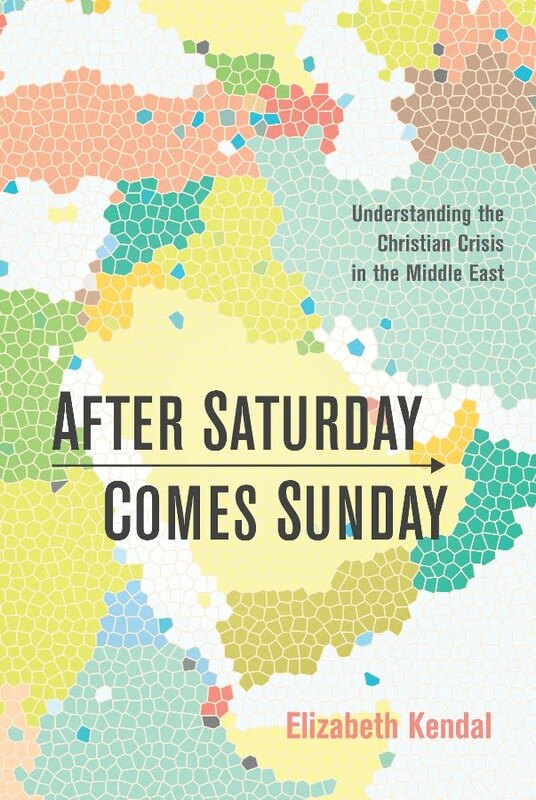 Meanwhile, the Christian Crisis in the Middle East is anything but over. Copts continue to be targeted in Egypt, and the Battle for Mesopotamia is approaching its next stage. Now that the proxies have cleared the theatre, the regional powers will move in to consolidate their gains -- in particular Turkey in north-west Syria and Iran in south-west Syria and northern Iraq. There will be no relief for Christians. Furthermore, the looming war between Israel and the anti-Israel 'Axis of Resistance' forces (Hezbollah, the Syrian government and Iran) in Syria's south-west is inching closer by the day. The Syrian government might be a friend to Christians but it is an enemy to Israel, complicating matters enormously. Eager to control Kachin State's amber and jade mining regions, the Burmese military has launched a winter (dry season) offensive against the indigenous, Christian Kachin. Since late November, heavy aerial bombardment and long-range shelling in Kachin State and neighbouring northern Shan State has forced some 1200 more Kachin to seek refuge in church-run camps and monasteries. The shelling continued right through Christmas, with a barrage of artillery striking a village near Laiza on Christmas Eve, leaving two Kachin seriously wounded. Compounding the suffering of the traumatised and displaced, the Burmese government continues to block all humanitarian aid to areas under 'rebel' control. The regime's aggression is motivated by greed, fuelled by ethnic-religious hatred and prolonged by silence and geopolitics -- much like the conflicts in Sudan's Nuba Mts and Indonesia's West Papua. Christians in Damascus celebrated Christmas 2017 openly and exuberantly, with public Christmas trees, lights and festivities. Unfortunately, the peace was short-lived. 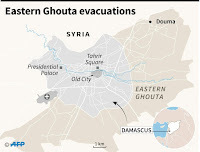 On 8 and 9 January dozens of mortar shells, fired from the 'rebel' enclave of Eastern Ghouta, struck the Old City's majority-Christian districts. Mortar shells struck the Latin Church of the Conversion of St Paul in Bab Touma and exploded in the courtyard of the Greek-Melkite Catholic Patriarchate on Straight Street in the district of Haret Al Zeitoun. The Maronite cathedral was badly damaged and many homes were struck; reports of casualties vary. As was the case in the Battle for Aleppo, tensions will escalate, casualties will accumulate, and propaganda will proliferate as the government fights to liberate Eastern Ghouta from al-Qaeda-linked 'rebels'. Thank you Father that in your amazing grace, you have opened the way for us to enter your courts with our requests. We give thanks for your love, patience, faithfulness and mercy. 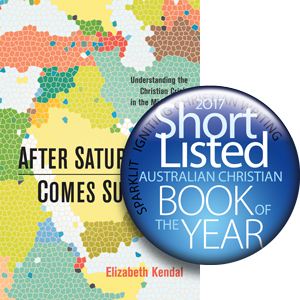 We thank, praise and honour you, Sovereign King of all Creation, for answered prayer. * continue his work in the hearts of believers, to infuse in us his love for his suffering and persecuted Church, that the Church might 'be one' -- not just in theory, but in practice -- 'that the world might believe' (from John 1:20-26). * intervene on behalf of the suffering and persecuted Christian Kachin in Burma's north. May the aerial bombardments and shellings cease; may the government open the way for humanitarian aid to reach the displaced and may international support be forthcoming. * protect and bless the Church in Syria as the conflict between Damascus and the Islamists holding Eastern Ghouta heats up; may God gift the Church with divine wisdom, clarity and courage as the situation grows more complicated. Aiming for full control of Kachin State's amber and jade mining regions, the Burmese military has launched a winter offensive against the Christian Kachin in Burma's north. The Burmese-Buddhist regime's war against the Christian Kachin is motivated by greed, fuelled by ethnic-religious hatred and prolonged by silence and geopolitics. 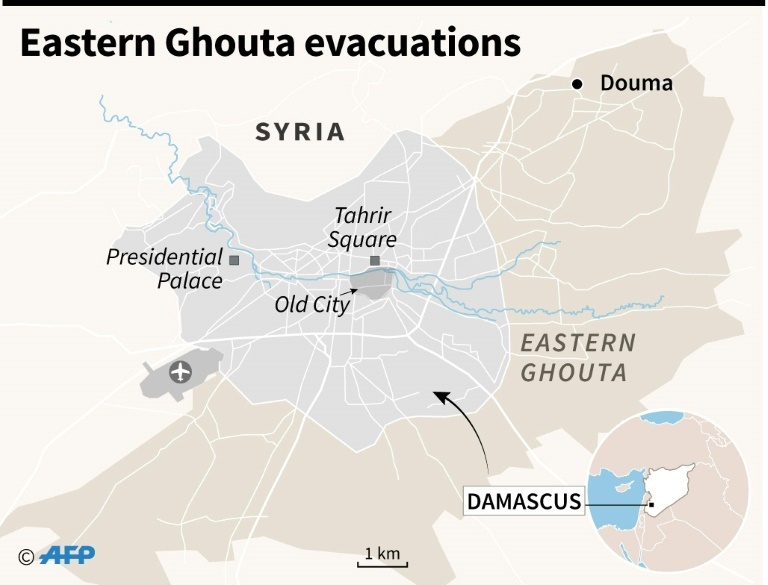 Meanwhile, conflict is escalating between the Syrian government in Damascus and the al-Qaeda-linked jihadists in the 'rebel' enclave of Eastern Ghouta. On 8 and 9 January Christian homes and churches in the historic Old City of Damascus were struck by 'rebel' mortar fire. Amidst the destruction were miracles of deliverance. Syria's Christians will require much wisdom, grace and divine protection as their situation grows more complicated through 2018. Please pray for Burma and Syria and for their embattled Christians.